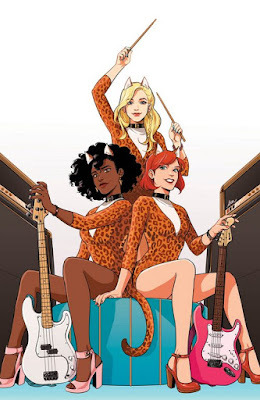 BREAKING NEWS: Josie and the Pussycats join the New Riverdale in an all-new ongoing series from Bennett, DeOrdio, and Mok! Fan favorite characters return in the spirit of the acclaimed ARCHIE, JUGHEAD, and BETTY & VERONICA re-launches. Visit the official Archie Comics website for more information, follow us on Twitter and Facebook for the latest news and updates, and download the Archie App for iOS and Android to read all your favorite Archie Comics!